This week, although it is early to say, we have a look at the potential impact of the UK leaving the EU on cruise shipping. Much of the reaction so far, as in many other industries, is wait and see, and react when necessary, but it will be a while before all of the effects are known. We also have a look at what is happening to Genting’s shipyards in Germany and report on some of the inital reactions to the opening of China COSCO Shipping-affiliated Southern Sea Cruises in China. Shipping contributes some £10 billion annually to the UK economy and directly employs 240,000 people aboard ships and in maritime services such as shipping, ports, transport, shipbroking, marine insurance and law, to name just a few. With regard to employment law, supporters of Brexit have said that reduced compliance costs could help make UK shipping more competitive. For example, EU-flag ships sailing from EU ports must pay the whole crew, including foreign workers, the same wage. 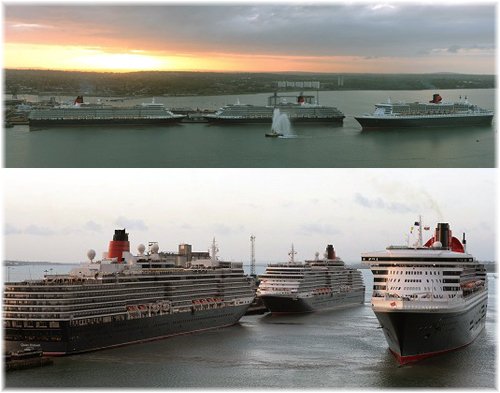 Of the ten ships in the UK-based Cunard Line and P&O Cruises fleets, only one, the Britannia, which was christened by the Queen, is registered in the UK. The rest are flagged in Bermuda, an overseas territory that is not subject to the same regulations as EU-registered ships sailing from EU ports. Although the maritime operations for the Cunard Line and P&O Cruises ships are being moved to Carnival Maritime in Hamburg, this does pose a question as to whether these fleets might eventually be moved back to the UK flag. A number of Princess Cruises ships that operate from Australia, Japan and China are therefore not burdened with EU regulations and still operate under the UK flag without problems. Nautilus International, the UK-based global trade union representing maritime workers, has criticized the UK Chamber of Shipping for remaining neutral on the impact of the Brexit referendum on British seafarers as some shipowners have started to consider changing flags of their UK-registered vessels. For its own reasons, perhaps with a view to keeping its ships into EU flag, Stena Line, warned that it has already started considering the possibility to re-register its UK-flag ships. Regarding on board currency Cunard, P&O Cruises, Fred Olsen, Cruise & Maritime Services and Thomson Cruises use Sterling as on board currency, have become 10-12% more competitive than direct holidays to the EU. Arnold Donald, ceo of Carnival Corp & plc, recently added, “In the UK, we price in pounds sterling.” So British passengers will not have to pay higher prices for Queen Mary 2 tickets. What he didn’t say was that British clients have always paid more than North American customers anyway once the two fares are converted to the same currency. It may be two years or more before things really begin to happen but there is also the possibiity that Duty Free shopping may return to vessels trading between the UK and the EU. The one area that is harder to gauge at this point is how Brexit might affect UK demand for cruising. About 1.7 million Brits now go cruising every year. But if, or example, UK unemployment should increase by 500,000, as predicted by some, this could of course affect demand. Meanwhile, it seems to be business as usual for UK-based cruise lines. The Cruise Lines International Association (CLIA) also hopes the vote’s short-term effects won’t last. “The cruise industry relies on stable business frameworks and regulatory certainty to operate efficiently. This is why CLIA hopes that Europe’s stability and business environment will not be unduly affected,” it said in a statement. Genting Hong Kong has announced that the three shipyards in the German State of Mecklenburg-Vorpommern (Nordic Yards) that it bought in April will be renamed as MV Werften, in honour of the state. The yards are located in Wismar, Warnemünde and Stralsund. This acquisition and an investment of €100 million in these yards will enable the company’s shipbuilding interests to build and repair not only its own fleet of cruise ships, but also others. The new MV intends to build three large cruise ships per year. 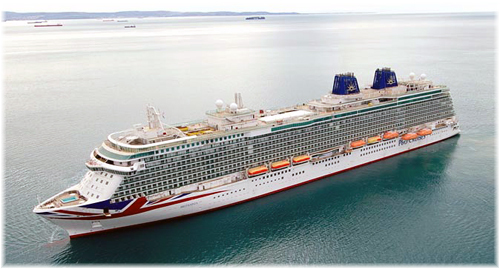 In addition to its shipyards, Genting Hong Kong operates Star Cruises and Dream Cruises and has more recently acquired Crystal Cruises from Japan’s NYK. MV Werften will deliver the first of three new 100,000-ton cruise ships for Crystal Cruises as well as four luxury ships for Crystal River Yachts in 2017, the first of a series of 20,000-gross-ton Crystal Endeavour class polar expedition yachts in 2018 and the first of a series of 201,000 gross ton Star Cruises Global Class cruise ships by 2020. Genting Hong Kong, which operates Genting’s cruise line interests, established the Lloyd Werft Group in 2016 through the rapid acquisition of Lloyd Werft in Bremerhaven and Nordic Yard’s three shipyards in Mecklenburg-Vorpommern. With the shipyards and their approximately 1,700 experienced managers and workers, the Lloyd Werft Group will be capable of building cruise ships larger than the biggest currently afloat. Jarmo Laakso, who has thirty-five years of experience in building passenger ships, acquired in the European shipbuilding industry as well as in executive positions with Royal Caribbean Cruises, has been appointed managing director of MV Werften. 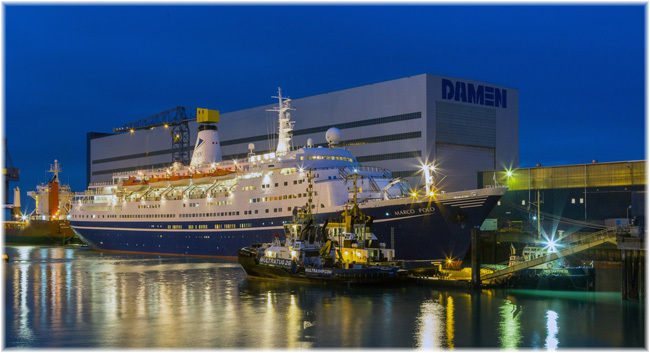 Of the three Nordic Yards, Mathias-Thesen-Werft (MTW) was best known for producing the five 750-berth “Ivan Franko” class ocean liners, of which the second in the series, Aleksandr Pushkin, now renamed Marco Polo, is still sailing after more than fifty years. The most recent cruise ship produced at Wismar was the 1,936-berth Norwegian Sun of 2001, as well as a midbody section to lengthen the Norwegian Majesty, which now sails as the 1,462-berth Thomson Majesty. Stralsund has meanwhile built three Hurtigruten vessels, the 483-berth Kong Harald and 466-berth Richard With in 1993 and the 475-berth Nordlys in 1994, as well as a series of river cruise ships for Premicon AG in more recent years. The world’s largest shipping company has branched out into a potentially controversial cruise business. China COSCO Shipping, formed from the merger of China Shipping Lines and China Overseas Shipping Company (COSCO), owns a large fleet of cargo vessels. Its new affiliate, Southern Sea Cruises will launch cruise trips in the South China Sea this month, with the first route sailing from Sanya city on Hainan Island to the disputed Paracel Islands, which are also claimed by Vietnam and Taiwan. China COSCO Shipping has signed a contract with China National Travel Service Group Corp and China Communications Construction Company to establish this cruise line to offer tourism services in the South China Sea. The plan is to offer a variety of domestic and international cruise itineraries. The 896-berth Dream of the Southern Sea has been upgraded and refurbished from its previous service as a roll on-roll off ferry and will sail four to six times per month, based on demand, offering 4-day itineraries. The use of Sanya take the new line away from crowded Shanghai, where it would be difficult to compete against the large newbuildings that are now entering the market. 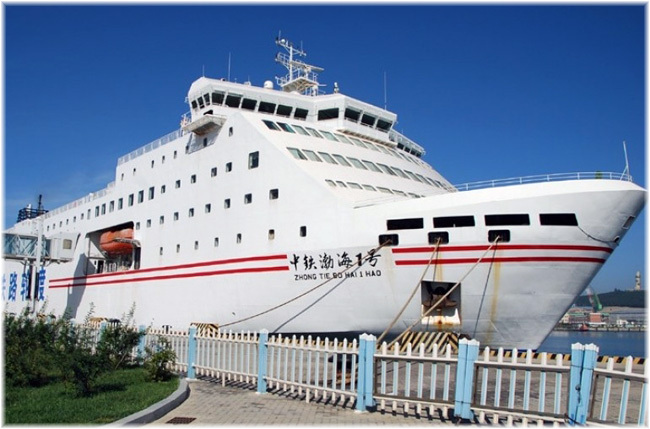 It would also be helpful if multiple embarkation ports were developed for the Chinese cruise market in order to absorb any additional tonnage and to build local cruise markets in different parts of China. According to one source in Asia, the new cruise line is purely a political product to further China’s claims on the various rocks and reefs on which it has built islands in the South China Sea. According to this source, normal tourists and even members of the Chinese general public are not likely to be found on these cruises. Instead, it is said the operation will cater to groups of politically-approved passengers, members of communist party groups and community associations. 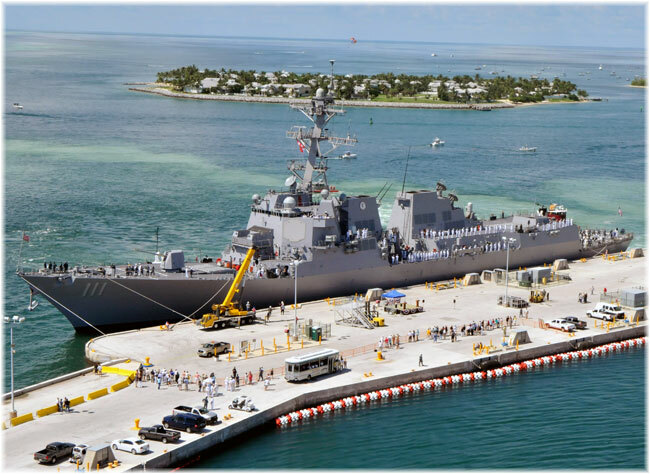 Furthermore our source says the ship’s freight decks are likely be used to carry cargo and supplies to troops stationed on these islands.